This fall my life took a huge turn when I found myself shooting a movie with the esteemed: Ernest Dickerson! Its based on the classic “Dubbelspel” novel by Frank Martinus Arion, it is called DOUBLE PLAY! Many people didn’t know I had left the country for nearly 2 months! It was during the final weeks of my off-Broadway production of Eclipsed. There were rumors about why I left and crazy silly articles online but I’m here to tell you, I had the best reason to take a short break from my play, a lead role in the new Ernest Dickerson feature film, DOUBLE PLAY! Well I am finally back in the states, going to Broadway in February, and of course looking forward to the film coming out but until then stay on the look out for small peeks into our process! 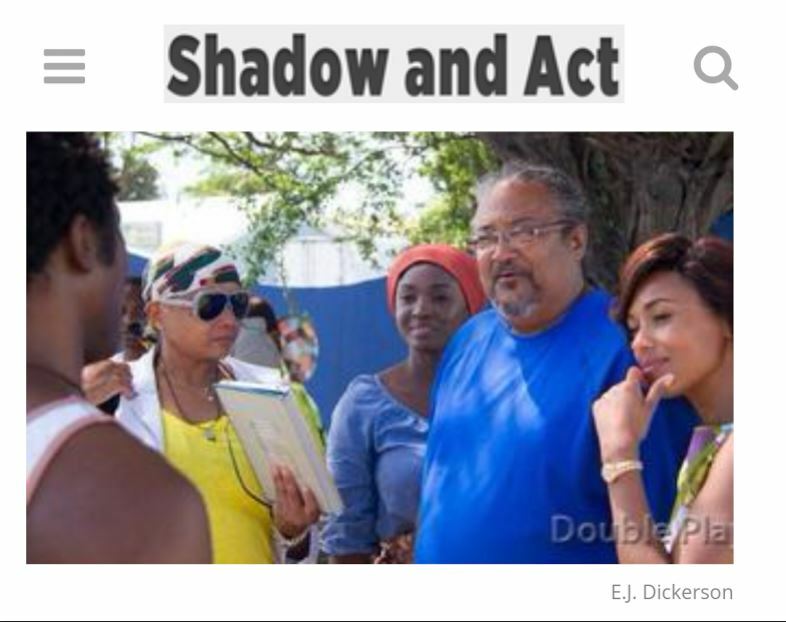 Journalist Aramide A. Tinubu came to visit us during our final weeks in Curaçao and it was a cool experience the article was posted on Indiewire.com Shadow and Act!. READ! READ! READ! Click here to read the article! Writer Aramide A. Tinubu was among several writers who came to visit us during our adventure in Curaçao!